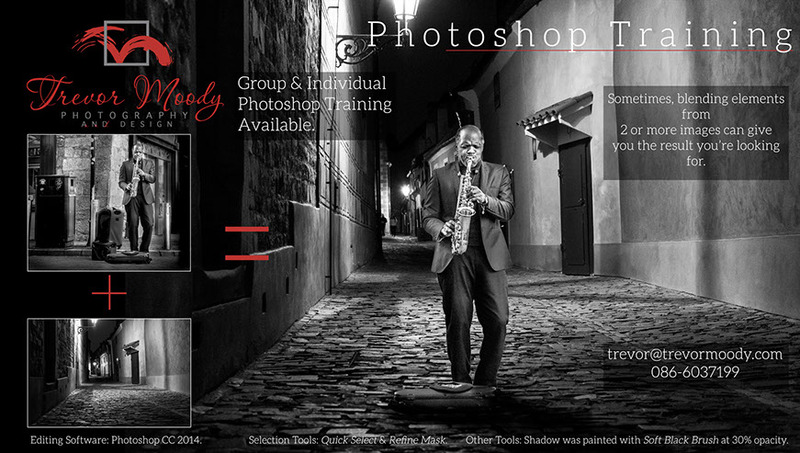 Ever wanted to learn a little bit more about Photoshop? I can help with my group courses or one-to-one sessions. Prices start at €50. All levels catered for, from beginner right through to more advanced or specific tasks you may want to learn. Contact me for more information & let me know your specific requirements. The next group course will run in Galway in mid January. Venue & dates to be set still, but email me for details.